Even one policy that is communicated and enforced consistently can reduce costs significantly over time. Having rules in place that ensure the safety and efficiency of your fleet can save a lot of money at the same time. But despite the obvious benefits and the relatively low costs of developing them, not all fleets have written policies in place. Even if they do, many fleets do not have systems in place to efficiently enforce them. A robust FMIS will automatically require employees and internal customers to acknowledge the policy as they interact with the system and inform staff when the policy changes. Does your fleet have policy? For more on fleet policy, download our Fleet Policy e-book. 2. Enforce and communicate your fleet policy automatically. It’s not good enough to just have a fleet policy, you need to be communicating and enforcing it consistently. One fleet we know of saved $750,000 by having a policy about not using high octane fuels. One state cut their total mileage in half, saving millions of dollars, by instituting and enforcing a policy regarding personal use of official vehicles. Want to know who? Call us, we’ll tell you the whole story, and how they did it. 3. Rely on fleet technology. Believe it or not, even with all the technology available today we still see many fleets who manage their fleets manually using spreadsheets and email. This makes getting reliable fleet data for decision making nearly impossible. Your fleet management information system should collect all relevant fleet data and make it easy for you to make right-sizing decisions. Pro tip: when choosing a FMIS, be sure that you have complete access and ownership of your data because not all vendors will make your data available if you decide to use a different fleet system in the future. One such system is the Agile Fleet FMIS FleetCommander. For more, visit www.agilefleet.com. 4. Share vehicles and right size. Is your fleet right-sized? The definition of a right-sized fleet is having the right quantities and types of vehicles available at the right location, and at the right time. If you're not sure if you have the right vehicle count, using utilization data to eliminate or redeploy underused vehicles can reduce annual fleet costs by $3,500-$6,000 per vehicle per year. What data do you need? We recommend you don’t rely solely on mileage. The number of trips a vehicle takes may be a better measure of usage because some organizations' vehicles don’t travel far, but are well utilized because they take multiple trips per day. Other organizations have far to travel, but are poorly utilized because the number of trips are few and far between. Tackle data first by looking at vehicles by site. Then, drill down to usage by type of vehicle, then look at the usage of each specific vehicle. Issues should jump out at you. Do your 5-passenger SUVs sit idle all the time because no one is allowed to use them? Our software offers a way to track vehicles and drivers online and collect data automatically. In fact, we offer a report that shows utilization based on odometer. Sharing vehicles is the most effective means of increasing vehicle utilization and driving down costs. With an automated motor pool system, you can offer online reservations and self-service motor pools that make sharing vehicles easy and efficient. Checking out a vehicle is as simple as picking up a boarding pass in an airport. For more on how this works, request a demo here. 5. Curtail personal mileage reimbursement. Use of personal vehicles for business use when shared vehicles are available is costly, and reimbursement expenses add up quickly. When personal vehicles are being used for business, fleet managers are unable to assess what size fleet is realistically needed to carry out business, leading either to an inadequately-sized or bloated fleet. When an organization is funding unused fleet vehicles while paying for POV reimbursements, costs are out of control. However, most organizations never recognize how bad the waste is because fleet departments manage “fleet expenses” and a different travel or purchasing department manages travel expenses. For more on how one county government addressed this issue and cut mileage reimbursement costs by more than 60%, read this blog. 6. Manage timely preventive maintenance. We all know that well maintained vehicles operate more safely and cost less. Your FMIS should be able give you a clear picture of the maintenance costs and schedules required to keep up with this all-important aspect of fleet management. 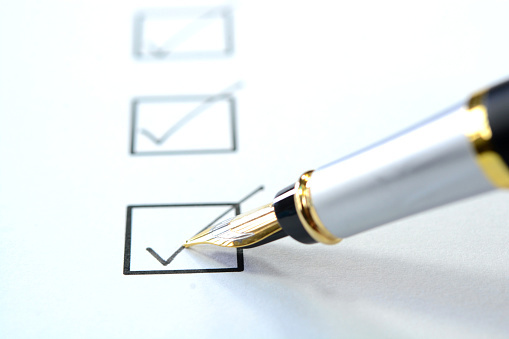 Some recommendations include establishing a PM schedule and pattern. Regardless of the “trigger” method used (odometer or time), it is crucial to establish a service pattern that both meets the manufacturer’s recommendations and protects the vehicle’s warranty. Keep in mind that manufacturers often have multiple recommendations based on vehicle usage. This includes “normal” schedules or “severe” schedules. If a vehicle regularly tows a trailer, operates in a dusty or salty environment, idles extensively, or makes frequent short trips in inclement weather, you should consider the severe-level schedule. The life of a vehicle is reduced when scheduled maintenance is not performed. This requires vehicles to be replaced more frequently or it requires significantly higher repair costs to keep that equipment on the road. With the Agile Fleet system FleetCommander, your PM program can be automated and customized to include your fleet’s specific requirements. Contact us here and we will be happy to discuss how Agile Fleet can help get you started. You don’t have to collect dozens of types of fleet operating and financial data all at once. We recommend you start with one critical bit of data and then continue to expand over time: perhaps good, clean odometer data. Your data should be timely, accurate, and defensible. Your FMIS should do this for you and help you avoid errors. Of course as a fleet technology solutions company, we don’t endorse using methods such as looking out the window the same time of day and counting vehicles, or putting pennies on tires or chalking tires to see if a vehicle has moved. But even rudimentary methods can be turned into numbers that you can work with. If you're like many fleets, you do have odometer and fuel burn data. And that's a start. However, neither odometer nor fuel burn provide any insight as to whether vehicles are available to fulfill the mission of the organization. Having any metric is better than no metrics. The key is getting to start with a baseline number, and then add benchmarks. Some less obvious places to look for clues to your utilization metrics are how much you are reimbursing people for personal vehicle use, how much you are spending on outside rentals, and even how many service calls for dead batteries you have made. All of these offer a glimpse at where money is being spent outside of your rental fleet. 8. Understand your fleet financial situation. Develop fleet budgets and track against them regularly. Without a plan, it's hard to gauge your progress and set meaningful and achievable goals. By developing a vehicle replacement plan, you'll be able to document and justify replacing older, high-cost units with more cost effective and safer units. 9. Learn and grow professionally. Seek any certifications you can. We encourage you to attend industry events, participate in educational webinars, and read current fleet news and articles. Check out our resources page, it’s a great place to start. Read this great blog post by the City of Austin’s fleet manager about how becoming a NAFA-certified fleet specialist helped his career. Whether you are proud of your new motor pool, achieved a targeted utilization rate, or just added an electric plug-in vehicle to your fleet, celebrate it and let people know. Celebrating these sorts of things keeps the positive momentum going for further success in the future.